Do you seek an authentic cultural experience or ways to immerse yourself in the community and history of a new destination? Jamaica, a small island nation has a big personality and its people of the Rastafari Indigenous Village are waiting to welcome and share their story with you. Engage your senses as you travel through time and tradition, experiencing the Rastafari philosophy and lifestyle for yourself. 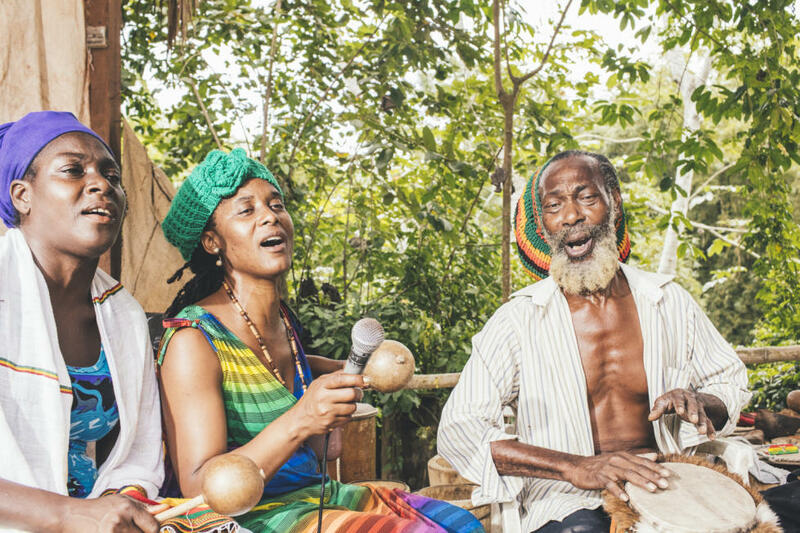 Meet Rastafari Village community members one-to-one and share their world of nature: sincere, authentic, touchable experiences with earth, water, fire, air. Rastafari Indigenous Village is located right outside of Montego Bay. Here you can spend the day learning about the Rastafari way of life, their history, life experiences and skills of the people. You can tour the gardens where the locals grow all of their food as well as learn about organic farming practices. After, indulge in vegan Rastafarian cuisine and continue afterwards with creating handicrafts with the locals. Finish the tour with live music and feel the vibe of the culture through dance. What’s more enchanting then live music, authentic cuisine with a gorgeous green backdrop? Discover for yourself the Rastafari Indigenous way of life!